We’re happy – nay, giddy – perhaps even ecstatic – to be able to report that major construction operations were completed yesterday and our occupancy permit for the factory level was granted. 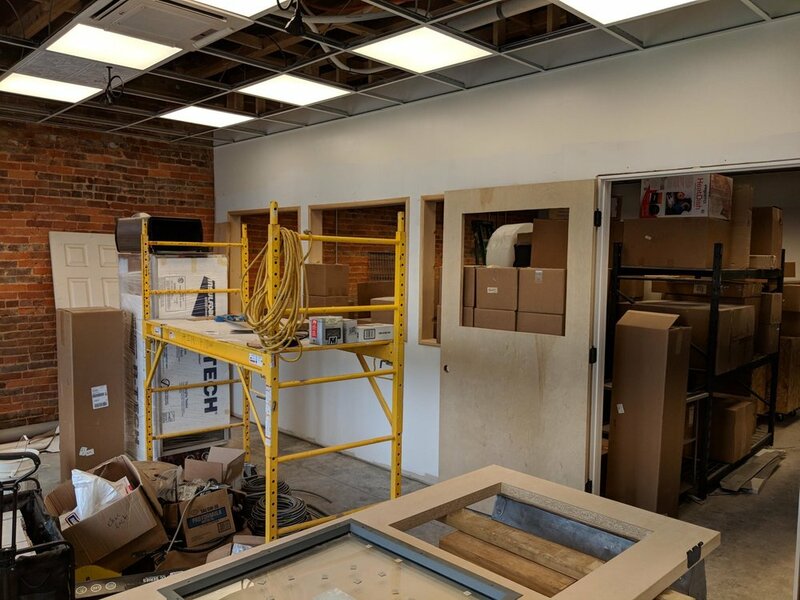 We still have some finishing work to do – hanging a few more doors, some trim work, sealing the exposed brick, and painting – but the big stuff is all behind us now. We’re working with TDA (Tennessee Department of Agriculture) on our permits now, and hope to have everything wrapped up by the first week of September. If that happens we should start shipping again in mid to late September. Since we wrote last month we’ve learned that the Van Buren Bank (which was on the west side of our building) went defunct in 1914 and was taken over by Citizens Bank, Citizens Bank was in our building up until sometime in the 70’s as best we can tell. They are still in business and located just a mile or so up the road. 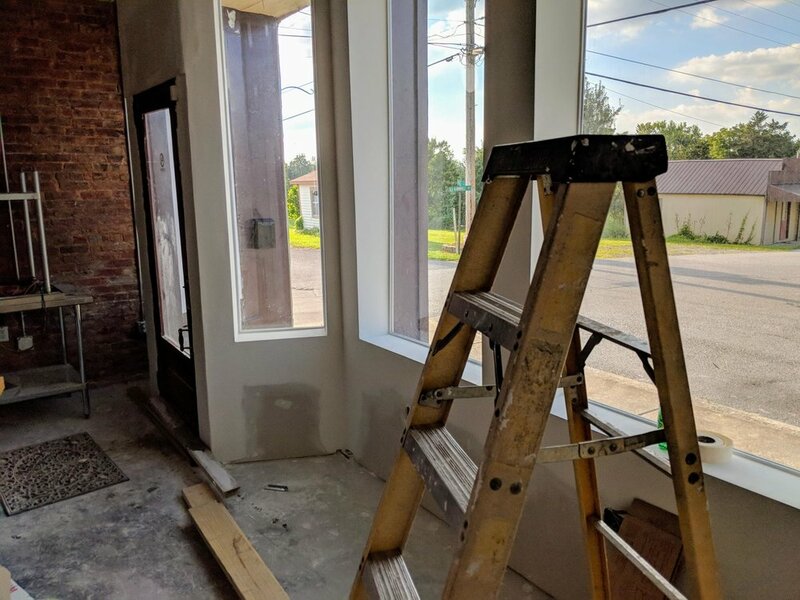 We’ve learned that at various points in time the lower level of our building had a casket business, a general store, a diner, a restaurant, a church, a video rental store, a cloth shop, a thrift shop, a real estate office, and was the chamber of commerce office. We’re looking forward to adding one more (chocolatey) chapter to its history. One very exciting development since we last wrote – Viet Nam Tien Giang is back! We thought that Tien Giang – one of our all-time favorite origins -- might be gone forever but were thrilled when a small amount of it came available last month. We have a new Madagascar to evaluate once we get up and going, and our first Uganda origin, too. We can’t wait to fire up the oven! We’re pulling out all the stops to get our permits as quickly as possible and to get everything ready for making chocolate again. We’ll let you know when the last “t” is crossed and “I” dotted, and we’re cleared for take-off in beautiful downtown Spencer, TN.